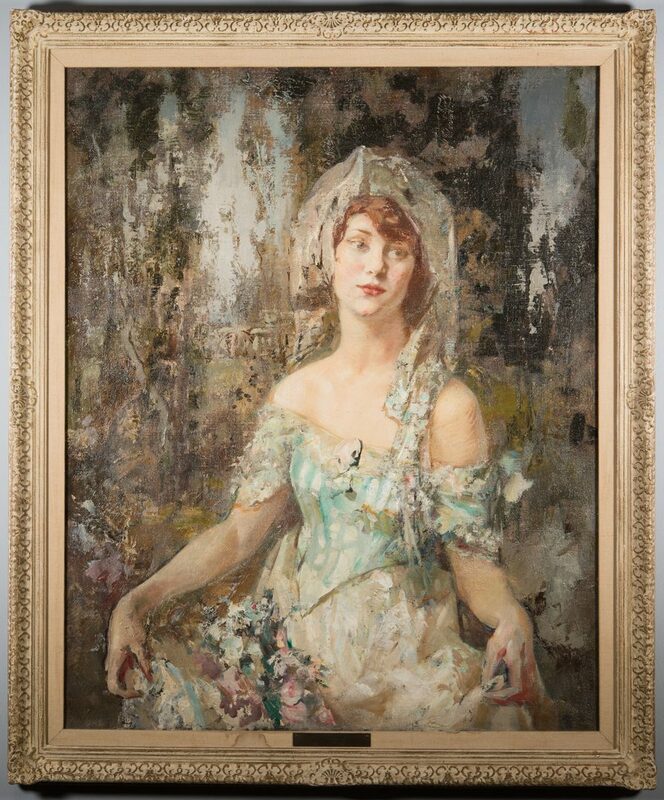 Lot 183: Fred Carpenter o/c, Portrait of "Miss K"
You are here: Home >> 2017 01 21 Auction - Knoxville, TN >> Lot 183: Fred Carpenter o/c, Portrait of "Miss K"
Fred Green Carpenter (Tennessee/Missouri, 1882-1965) oil on canvas, titled and likely signed en verso of canvas "Portrait of Miss K by Fred Green Carpenter". 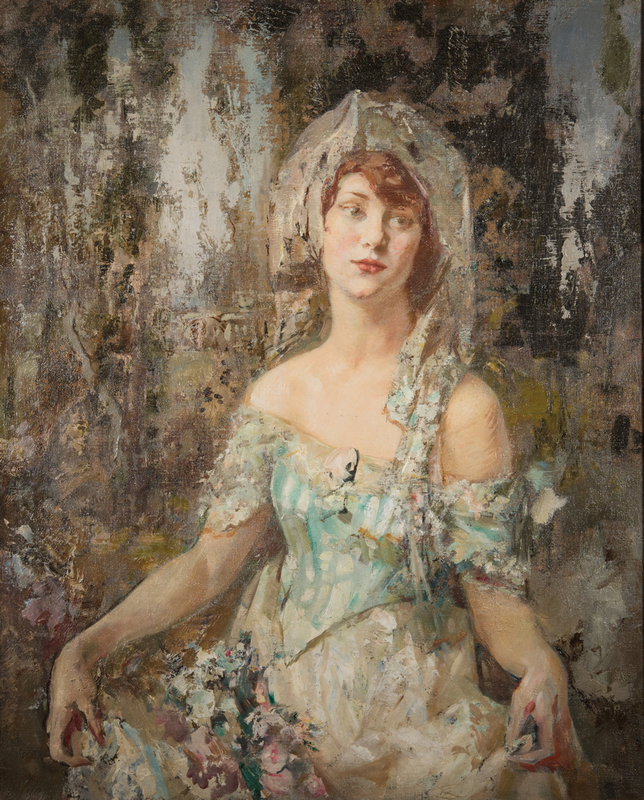 Depicts an auburn-haired young woman wearing a white lace mantilla and dress, and holding flowers in her dress skirt. 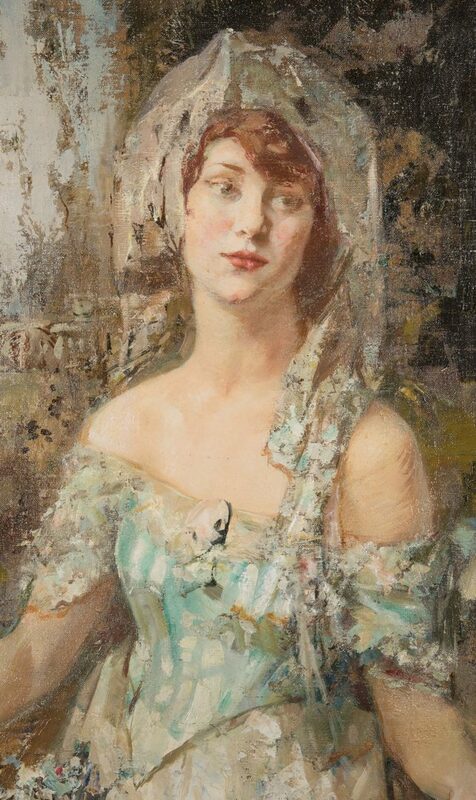 Additional inscription in pen en verso of frame: "Young Woman by Fred Green Carpenter / Loaned by St. Louis Artists Guild." 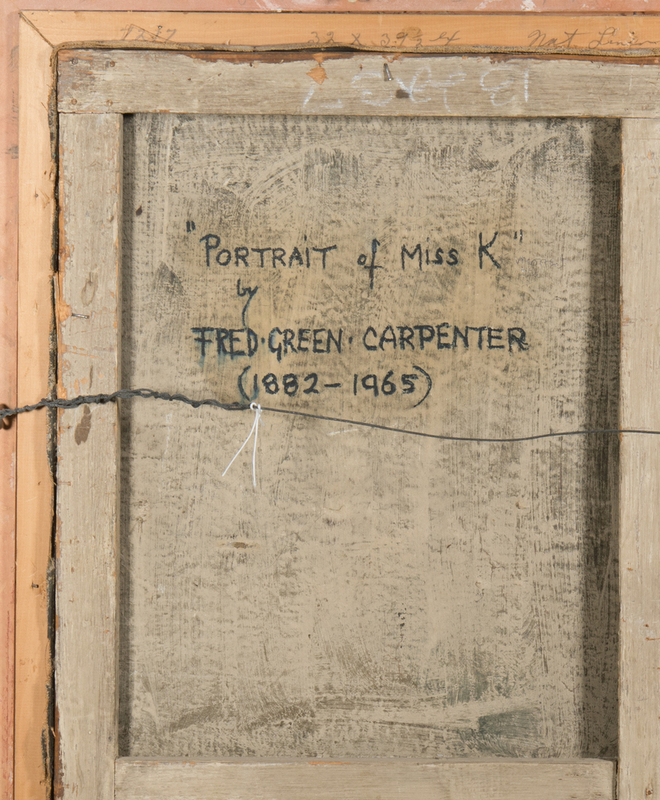 Gold colored metal tag affixed to front of frame reads "Young Woman", "Fred Green Carpenter 1882-1965". Whitewashed Rococo style carved frame with beige linen liner. 39 1/2" x 32 sight, 45" x 38" framed. 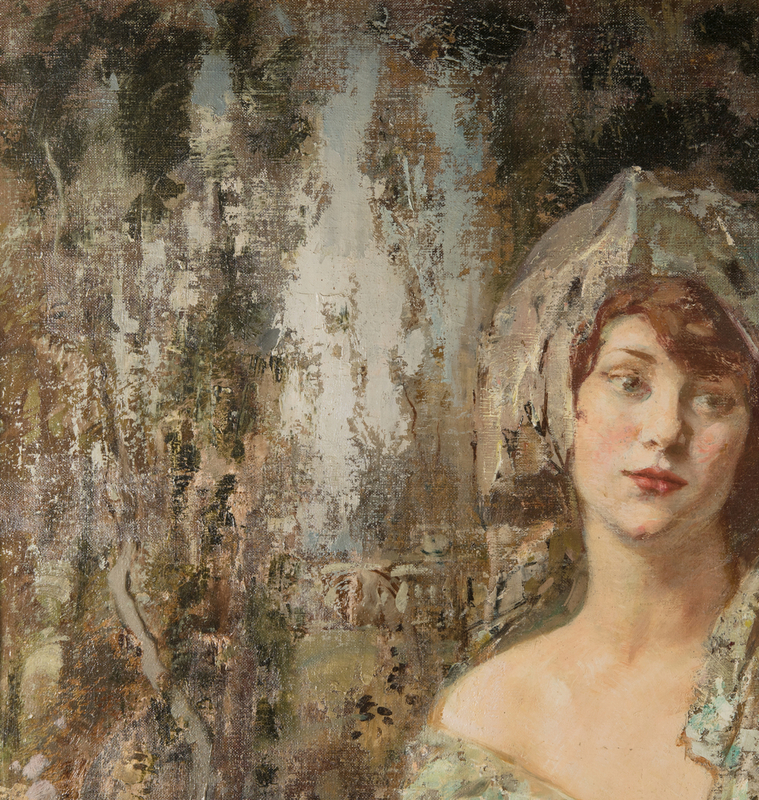 Provenance: Private Michigan collection. 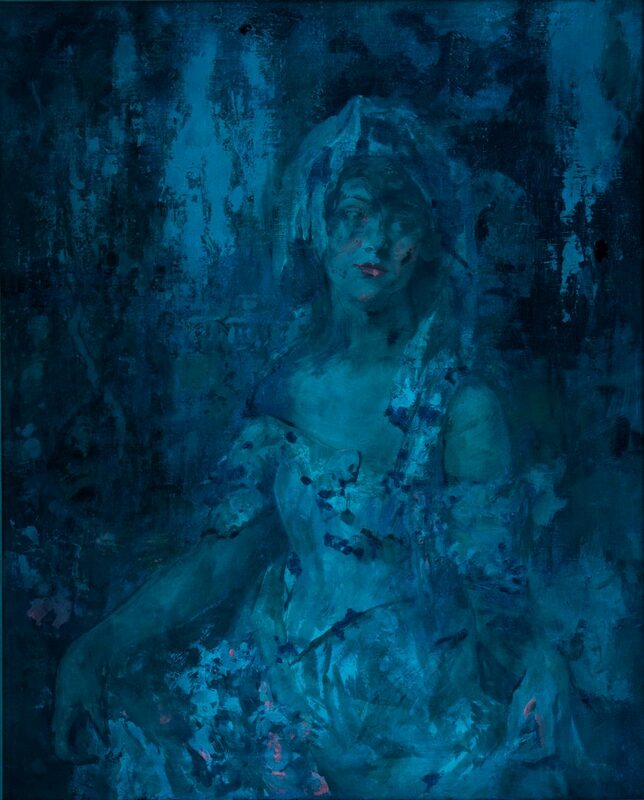 Biography (courtesy Askart: The Artists' Bluebook): Fred G. Carpenter was known for his brilliant use of color and curvilinear forms, often used to depict figures in exotic settings. 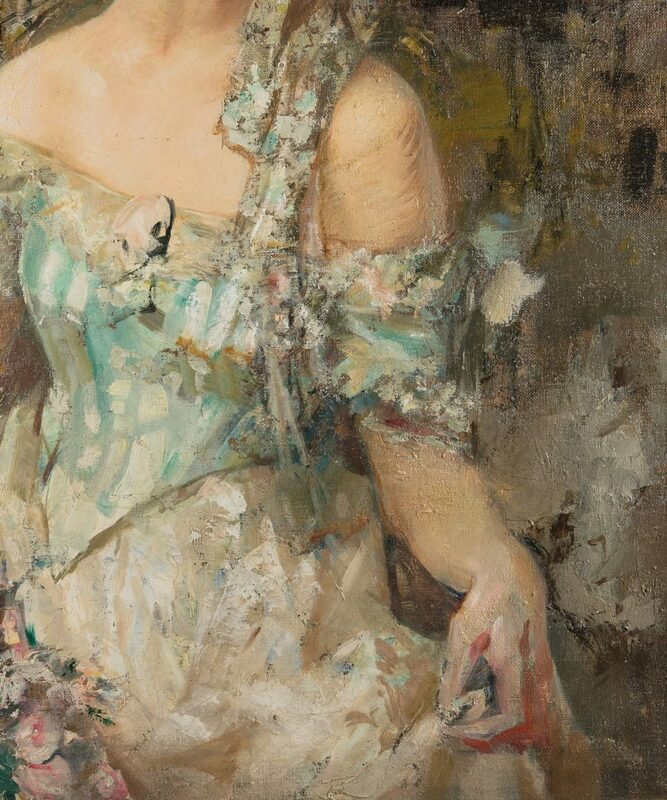 Born in Nashville, he moved to St. Louis where he studied at Washington University_'s School of Fine Arts and later, the Acadmie Julian in Paris under Jean-Paul Laurens and and the Colarossi Academy under Richard E. Miller. 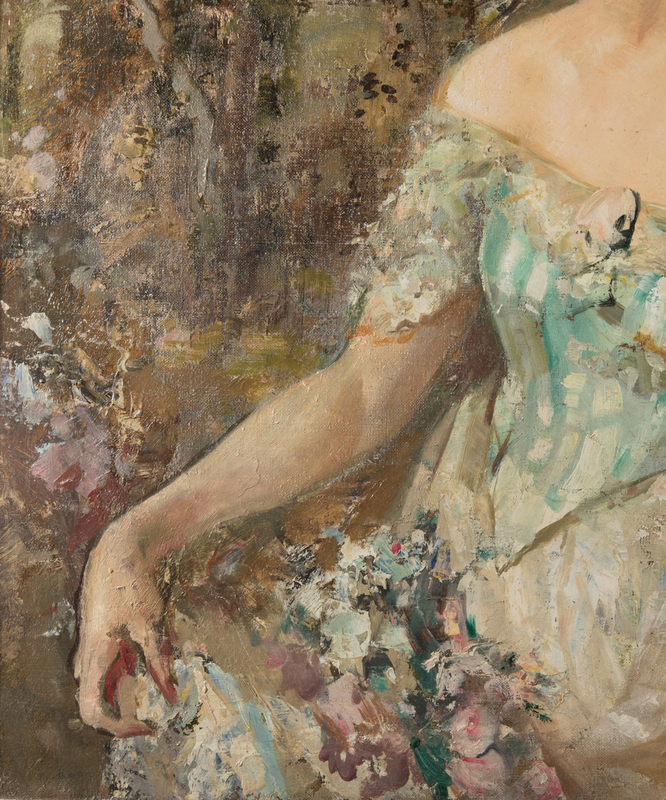 Carpenter_'s painting "The Sisters" won an Honorable Mention at the Paris Salon in 1910. 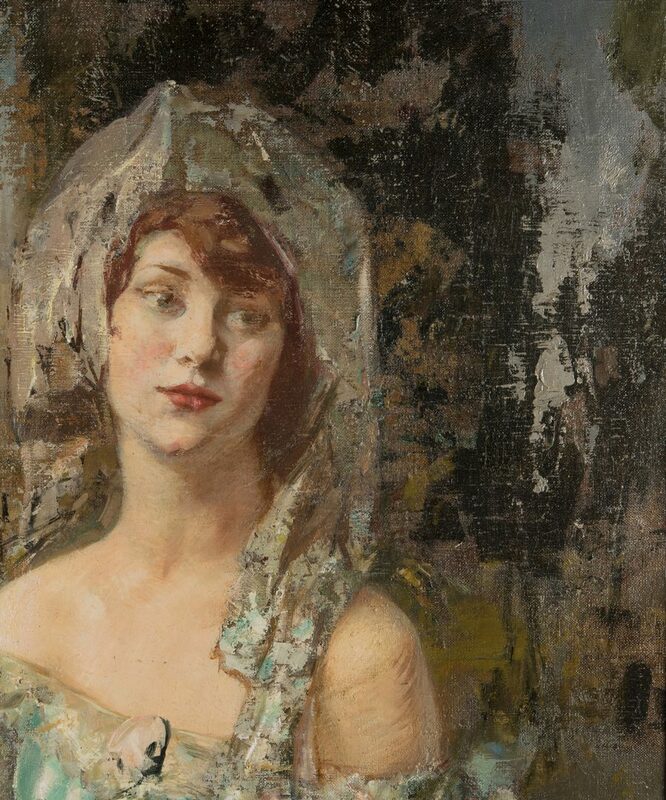 He also won a silver medal at the Panama-Pacific International Exposition in 1915, and exhibited at the Pennsylvania Academy 1908 ì 1931. Carpenter is also known for the lunettes he painted in the Missouri State Capitol. 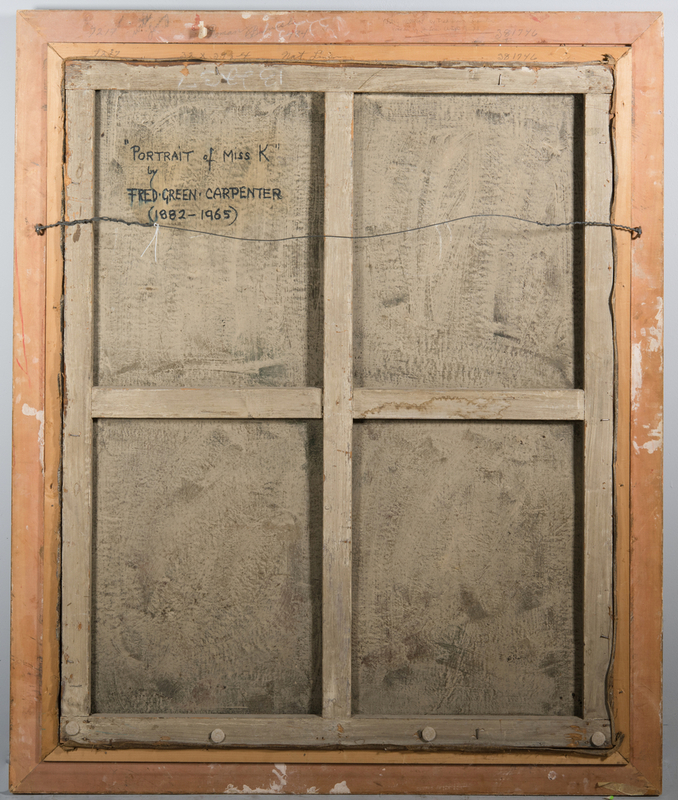 CONDITION: Back of original canvas and stretcher have a coat of white wash, stretcher and liner each have some scattered light colored staining. Frame has some losses to paint on sides.